Call / Plea / Beg for Responses: What If Creative Commons Certifications? Like I’ve done in the past, to some degree of success, I am asking for people to help out on a project with a video response to questions related to my new project with Creative Commons, helping to design/build a system, process for offering a “certification” in Creative Commons. Yes, I put that in quotes, because we are still figuring out what a certification really is or means. Your responses will help! Part of the work I hope to finish this week is to get our web site up that will document thew project progress openly, as we go. I have nothing but feeble excuses why it is taking me so long. The idea I had was to ask people these questions before I fully explain the project, so I do not seed them with expectations. 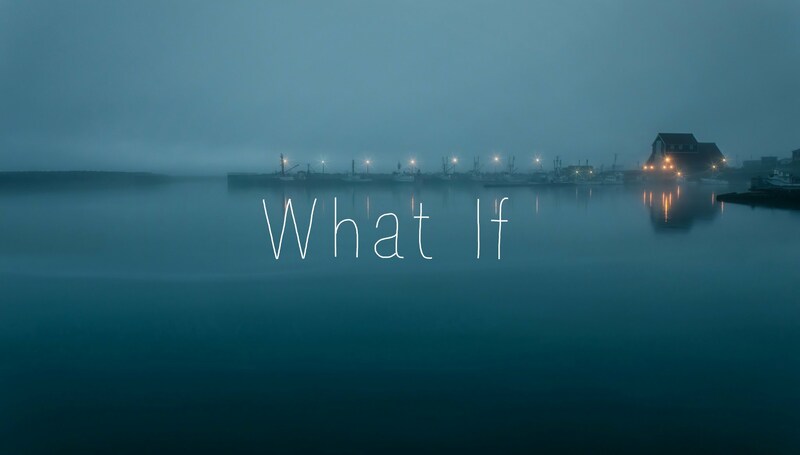 I want to hear their ideas as to “What If…” such a thing existed, what they might expect of it or think how it should work. I tried it out Monday on a video call with Bill Fitzgerald— he kind of sets a high bar with his thoughtful responses! This is not something I want to necessarily do myself or as interviews. So soon there will be a site on our new blog with a form where you can send us a URL for your own video (it should be licensed creative commons shared via YouTube or vimeo). I have it close to worked out (meaning in my head) so the submitted videos (done in WordPress with Gravity Forms) will populate a gallery of the videos. It will help tremendously if I can seed it with a good set of existing responses, so that’s where YOU come in. Yes YOU. Do not try to hide from me. Some of you will get direct nag messages. Some of you I will see and thrust a camera in your face. Do you have 5 minutes to record, 5 to upload, and send a link? You can put in the comments below, send me a tweet (@cogdog), or fold it up and send it to me in an envelope. These are the questions I’d like you to answer in your video, done in whatever format you prefer, but something 2-5 minutes is awesome. Who are you? Introduce yourself, first name fine, where in the world you live, what kind of work you do. What role does Creative Commons play in the things you do? This could be related to work/teaching, but also in terms of media sharing for content created. Or it could be “none”. What would it mean to you to have a Creative Commons certification? What would you do with it, how would it play into the things you do. What is its value? And like in Bill’s video, that answer might be “nothing”. What might it look like to earn a certification? Imagine, project a vision for what it would take for you to get a Creative Commons certification, how/where is it done (in person, workshop, course, online)? How long does it take? What kinds of things are you doing to earn it? What if? a Creative Commons Certification existed? What if? I asked for help? What if! Top / Featured Image: The search in Google Images (the only way to do it, with the option set for results licensed for reuse. 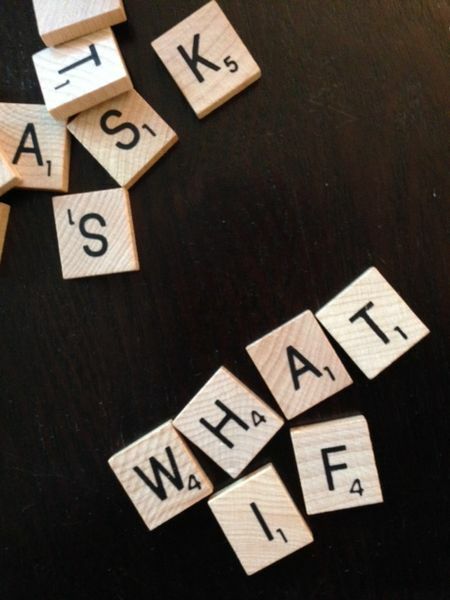 They won’t make it the default, but you ought to) was for the words “What if”. I almost used a Wikimedia Commons Creative Commons licensed image with the words on Scrabble tiles (I might still use it because I like it); the adjacent images in the result showed another Scrabble tile one I really liked. But this is the sneaky faulty aspect of Google Image search- these related images are not ones with the same license limit. The image is used in a blog post, and was uploaded to the blog, but lacks any caption, credit, yup, zero attribution. Shall I assume it is the author’s? Not safe. So a reverse Google Image search lead me to the original photo, a flickr photo by Lisa M. And her image is restricted, All Rights Reserved. And thus the conundrum of open sharing. If Lisa had shared her photo under Creative Commons, I could have used it. But that is her choice, and I have to respect it (I could always ask permission- All Results Reserved does not mean you cannot use it, it means you might have to get permission. This is friction in the sharing machine. If the blog author where I found the post understood Creative Commons, they would not have used it, or would have gotten permission and shown so in their post. But I guess showing gratitude is just too much work. This image credit is almost a blog post on its own! Of course! I always have time for bags of gold! I actually did run out of time to do detailed scrolling credits for all the CC media I used in the video, like Vivien Rolfe and threw a blanket statement over all at the end; however, if you can’t use this video or would find it more useful if I did that, I can add it tomorrow. Check out Calgary! Thank you and Sandy so much for just doing the video. I got lots of retweets, but I know who I can count on to actually contribute. Hello Alan! Lansing and Econproph checking in. I had a wee bit of fun… no spit no polish. also to John Johnston….DANG THAT WAS GOOD! How about automate the process of using anything and never have to ask permission because permission is already granted, attribution already handled, everything simplified? Sounds dream come true. I guess I need to ask for more information? Thanks Jamison, very much appreciate the perspective. I’m late in the game but I hope my feedback is useful. Not late at all D’Arcy! And I very much appreciate having your library perspective. I have the site *almost* ready to share. Pingback: #WhatIf certification was about community rather than credit? Party on! Flickr Notes are BAAAAACK!